SEO for photographers...From last 2 years I m in photography and for me photography is more than hobby it’s my passion.Most of my friends and relatives told me to display your work on internet, so it will be easy to show your work to world. Finally they convince me to start the photo blog and in Last year April i started this blog www.vkclicks.com. I started VKClicks on Word press with self-hosting plan to show my work to the entire world. Initially the response was good I was also regularly upload my photos. However from past few months i observed my visitors on my photo blog are more than limited. I am not getting enough traffic as i was thought in initial days. I was so confuse why my website is not getting enough visitors ? Is it my work is not up to the mark ? Or my website design is not good ? had lot of questions in my mind, but deep inside me I know something is wrong but I don't know what. Searched on internet took recommendation from my web designer friends and then I come to know that SEO of my website is not good. which causes the less number of hits on my photo blog. After learning from them I found out SEO for photographers also plays an important role other than just uploading good photographs. But what is SEO for Photographers ? In layman term SEO is Search engine optimization which is nothing but some method which will affect the visibility of your website in a search engines like Google and Bing. If you optimize your photo blog as per the SEO there is high chance that your work will rank higher. I have searched lot of SEO tips for photo blog on internet but the results were limited they were mostly for blogs not for the photography website or photo blog. Photographers are concentrate more on photos not the SEO (technical part). So i decided to gather all the information to optimize my photo blog. I made some changes in my photo blog as per the SEO guidelines. Below are some tips which I used to optimize my blog as per the SEO guidelines to achieve good results. It is not always that good photographs will give you more visitors. Some time SEO for photographers is essential to rank the photos well. Just taking good photographs and upload on your website is not enough you need to optimize that post and images so your post and photos will be seen in top 10 search result. 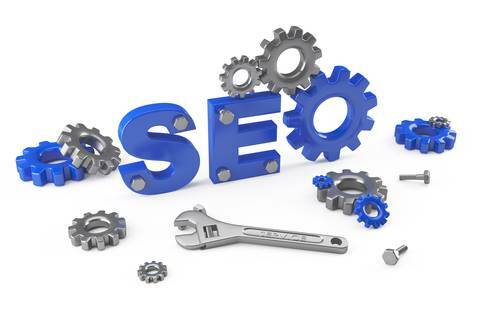 In next post I will share my SEO tips in detail. Yes, you touched a very important point. Your overall SEO strategy should also include considerable work on Social Media platforms. Specially in a vertical like Photography, social media plays a vital role in bringing extra visitors.